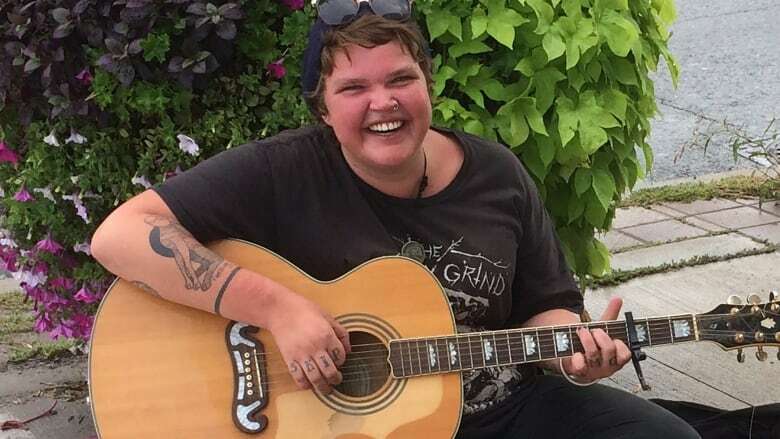 Sarah Valiunas, 26, was a popular busker in Nelson, B.C., who died of an overdose in Toronto in August 2018. Bob Keating's documentary is called "The Voice of Sarah Vee." Valiunas, 26, was a popular busker and travelling musician based in Nelson, B.C. 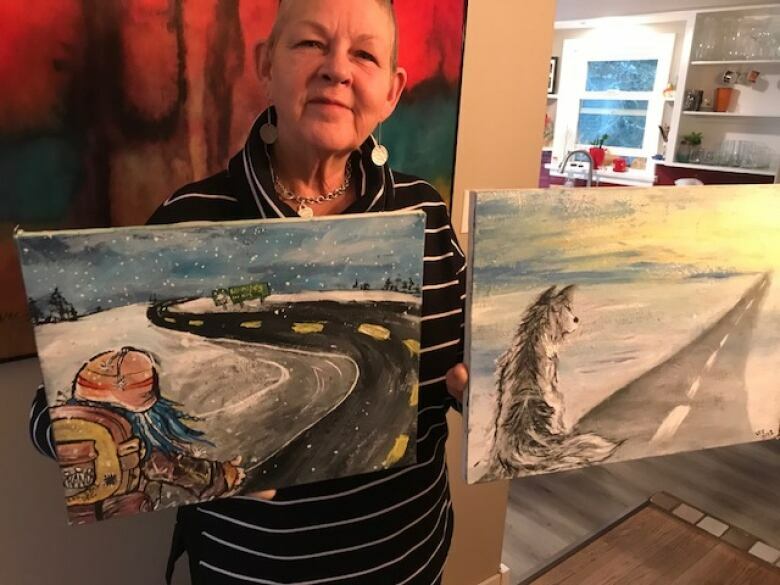 Last winter, CBC reporter Bob Keating was walking down the main street of Nelson, B.C., when he heard two young women busking. There was a beautiful weariness in their voices that made him stop and listen for a while. He asked if he could record them singing, possibly for a story about busking or street life. The women, who introduced themselves as Jessica and Sarah Vee, said yes. The songs he recorded sat on his iPhone, untouched, for months. Then Keating got a call from his partner, who said there was a small memorial where the two buskers usually sang. In front of The Full Circle, a popular breakfast restaurant in Nelson, Keating found dried flowers, incense and a sign that read, "Rest in Peace Sarah Vee." On August 27, 2018, Sarah Valiunas died of an overdose in Toronto. She was 26. 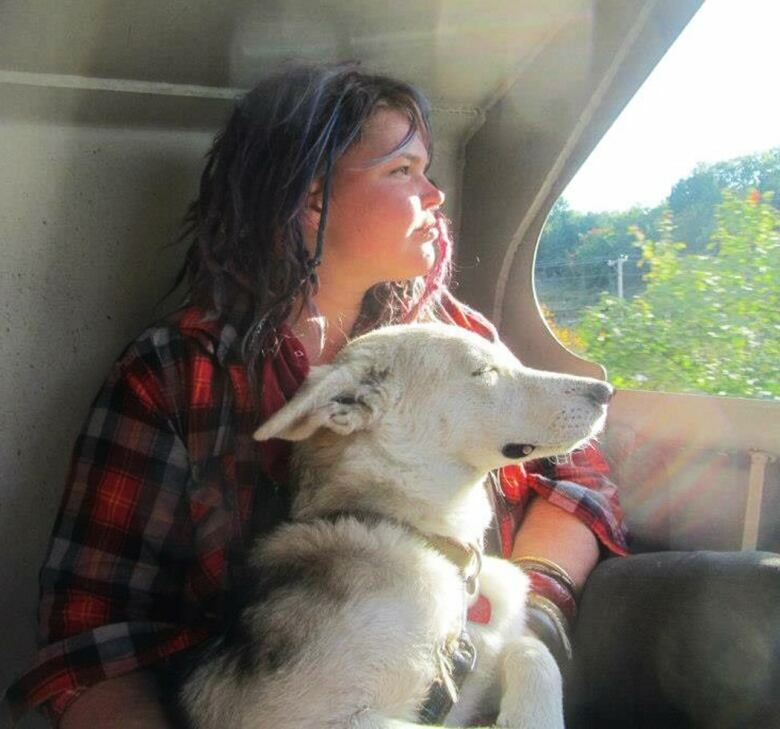 "We've lost a beautiful voice in this town, that's for sure," said Chloe Sage, a harm reduction worker in Nelson who often gave Sarah rides when she was hitchhiking. Mike Wysimity, who sells crafts and produce near Sarah's busking spot, told Keating she was a "staple" in Nelson, known and beloved for her music. He said that overdose deaths have become "sadly common" — common enough that Sarah's death in a distant Canadian city didn't even make the local news in Nelson. Keating wanted to learn more about what happened to Sarah, but when he tried reaching out to her family through Facebook, he didn't hear back. He couldn't let go of the story. His stepsister struggles with addiction, and has spent most of her adult life homeless or in jail. She also overdosed this August — at the same time and in the same city as Sarah. Keating's father and his partner left their farm in Saskatchewan, fished his stepsister off the streets of Toronto and drove her across the country to a rehab facility in Vancouver. That month, Toronto police issued a public warning about a batch of fentanyl and carfentanil moving through the downtown core. There is no way to know whether his stepsister and Sarah took the same bad batch of drugs, but Keating wondered about the connection. According to data collected by the federal government, on average, more than 11 Canadians die from opioid overdoses every day. Fentanyl was involved in more than 70 per cent of overdose deaths between January and March 2018. The community of young musicians Sarah belonged to is disappearing. Her partner Josh Parsons, a musician she met while travelling three years ago, died of a fentanyl overdose in Vancouver in March. Her singing partner Jessica Ashley-Jones has had a hard time busking without her friend. Between Sarah and Josh, she's lost two of her best friends this year. "Really, our community is losing people every week. With so much loss all the time, we are just stuck in this cycle of grief, and nowhere to put that," she said. "It doesn't feel like there is a way out." Keating kept talking to people in Nelson about Sarah, and produced a story for Daybreak South, the CBC morning radio show in southeastern B.C. After it aired, he got a message from Karen Valiunas, Sarah's mother. She told him she had moved to Nelson to be close to her free-spirited daughter. "The first couple of years for me were terrifying. I came to Nelson and bought this house to create a home base for her, because this is the place she would come back to after her travels," she said. "She would just say to me, 'I'm going to the Yukon, I'm going to Vancouver. I am going somewhere.' I remember thinking, 'Why?' But she thrived. Mostly she was on the road, and that is where she was happiest." In a letter, Snaige Sileika, Sarah's aunt, said her niece "had friends in every single city in this country — although she called British Columbia her home." In July, Sarah moved to Toronto to work at safe injection sites and be part of a peer outreach program for high-risk kids. Karen said her daughter liked to party but wasn't a heavy drug user. But they didn't know until later how deeply affected she was by Josh's death. "We didn't realize the depth of her despair. The way we feel now was how she was feeling in the summer, and we didn't get it," said Karen. "And I think she never got over the loss of him." When Sarah's family learned of her death, Sileika wrote they "basically clung to each other and wept." They reached out to some of the street musicians Sarah had performed with, and invited them to join the family in honouring her. "They all came — with their tattoos, their piercings, their dreadlocks and their dogs," Sileika wrote. "We asked them to bring their instruments ... Everyone was in tears. We sat for hours listening to their amazing music." Click "listen" above to hear Bob Keating's documentary, The Voice of Sarah Vee. To hear Sarah Vee's music, click here.